The Maxxwave 3G Embedded M2M USB Modem is built to work specifically with the Sprint 3G Broadband Data Network. As a low cost device, it will accelerate your application development into the M2M world. By using industry modem standards, it allows for compatibility for a wide range of operating systems and devices. Available drivers for Windows, Linux, RouterOS, Windows CE, and Android are available, as well as being compatible with other Maxxwave products. 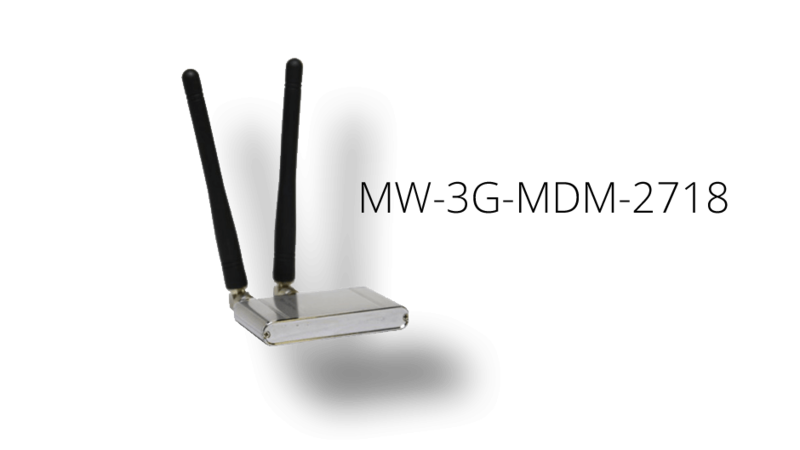 The 3G Modem performs like you’re using embedded module hardware, but is pre-certified, so you don’t have to go through the certification process. By using a standard USB interface, our M2M modem will allow you to connect to a wide range of devices. No external power is required, as the device will draw power from the USB port. All Rights Reserved © 2015 Maxwave, Inc.